People with criminal histories are less likely to repeat a criminal offense if they have secured employment and therefore limiting criminal history checks as a barrier to employment will help to reintegrate past offenders into the community and assist them in becoming productive members of society for their families, themselves, and their communities. That Act – also known as the “ban-the-box” law – went into effect on March 1, 2015, and sought to ban employers from questioning applicants about their criminal records at the beginning stages of the application process. The New Jersey Department of Labor and Workforce Development (NJDLWD) then came up with specific rules to effectuate and enforce the provisions of the Act which went into effect on December 7, 2015. However, it became apparent that the Act as originally written left some loopholes which allowed employers to conduct online inquiries or searches regarding potential employee’s criminal history records which managed to undermine the goals of the Opportunity to Compete Act. Therefore on December 20, 2017, Governor Christie signed a bill to close that loophole. Now, employers cannot make any oral or written inquiry about an applicant’s criminal background during the initial employment application process – including inquiries regarding current or expunged records. They also cannot conduct any online search or inquiry regarding an applicant’s criminal record. (This does not apply to applicants who voluntarily disclose such information. 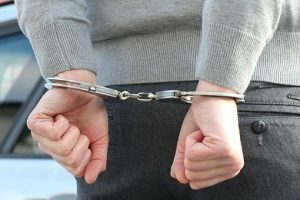 In such a situation, the employer may make further inquiries about the applicant’s criminal history once the applicant has opened the door with a voluntary disclosure.) Employers are also not allowed to advertise job positions with the caveat that the employer will not consider applicants with criminal histories. However, the Act may still be considered somewhat ineffective. Indeed, the Act only limits inquiries regarding criminal histories during the “initial employment application process.” Therefore, it is still conceivable that an employer could ask about the potential employee’s criminal history after the initial process, but before offering employment. Also, the Act does not actually prohibit an employer from refusing to hire an individual based upon her criminal record – it only prohibits the inquiry at the beginning stage of the application process. However, this gets the employee “in the door” to be considered or receive the opportunity for an interview, where she can explain the issue and why she would still be a great employer. The Act generally applies to New Jersey employers with 15 or more employees. However, it does not apply to positions in law enforcement, corrections, the judiciary, homeland security, emergency management, or other positions which may be designated by law to be unfit for those with criminal histories. Further, the Act does not provide a private right of action against employers for violating this law. The remedy for a person who has been damaged by a potential employer’s violation of the Act is to advise the NJDLWD to ask the Commissioner to impose a civil penalty against the employer – which can only be up to $1,000 for a first violation, $5,000 for a second violation, and $10,000 for each subsequent violation. McLaughlin & Nardi, LLC’s employment attorneys are experienced with and knowledgeable about both State and Federal employment laws in a wide variety of areas including application processes and compliance. To learn more about what we may be able to do to help, please visit our website, http://www.esqnj.com/ or contact one of our New Jersey lawyers by e-mail or telephone at (973) 890-0004.